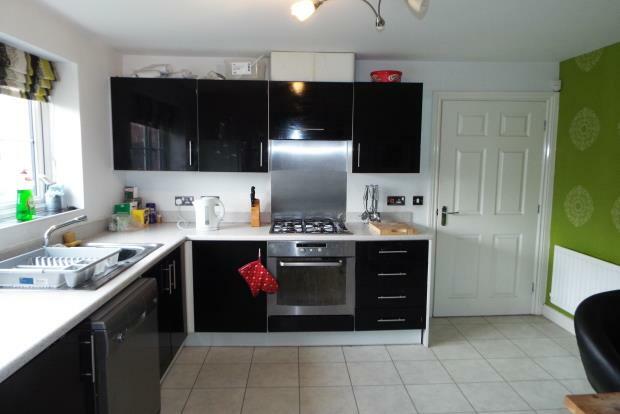 4 Bedroom House To Rent in Newcastle for £1,400 per Calendar Month. Detached 4 double bedroom house on the edge of the new development which is brilliant for those students that plan on walking to the Univeristy campus and to the town centre. Milliners Green is a new build development and the no 1 most demanded spot for Keele students because of the location and the modern accommodation sizes . This property is a large family sized house, very modern with features walls, good bedrooms sizes and all with built in wardrobes and a back garden for enjoying those summer evenings. A driveway can accommodate 2 cars and the garage offers extra space so desperately needed for many.